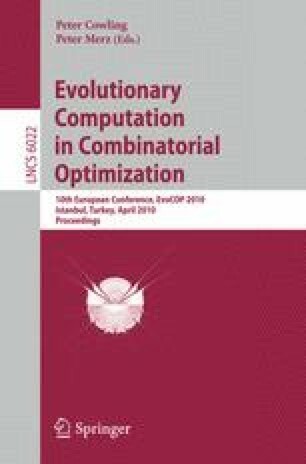 This paper presents a new evolutionary computing strategy which uses the linear programming duality information to help the search for optimum solutions of hard optimization problems. The algorithm is restarted several times when it is stuck into a local optima. At each restart, the appropriate dual space is constructed. A new population of primal individuals is generated using the information from dual solutions and is considered for next iterations. The pursued goal was not to find the best algorithm for solving winner determination problem, but to prove the method’s viability using the problem as a case study. Experiments on realistic instances were performed.